Carpetland USA Flooring Center | Get The Best & Spend Less! Since 1992, Carpetland USA has been serving the Danville area with the very best floor covering selection and personal service. Of our six regional stores, this location is the second Carpetland USA to open and share in our growing success. In Danville, you'll always find the best of both words – a locally owned and operated business for the personalized service you want and National Buying Power for unbeatable prices. Carpetland USA makes buying a new floor easy. Our Guaranteed Service and Installation Package ensures your complete satisfaction from start to finish. We feature floors from the hottest manufacturers – all showcased to help make purchasing your new floor covering easy. And be sure to ask about our great financing plans. 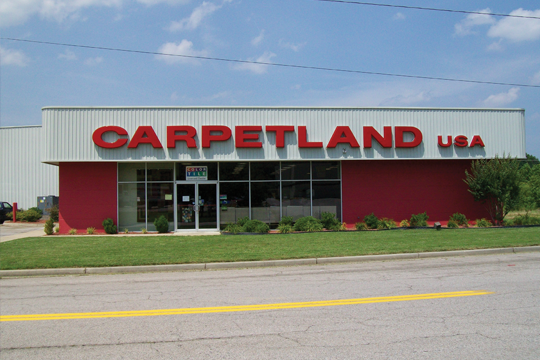 Any floor, any style, you'll find it all at Carpetland USA! © 2018 Carpetland USA. All rights reserved | Design by W3layouts.